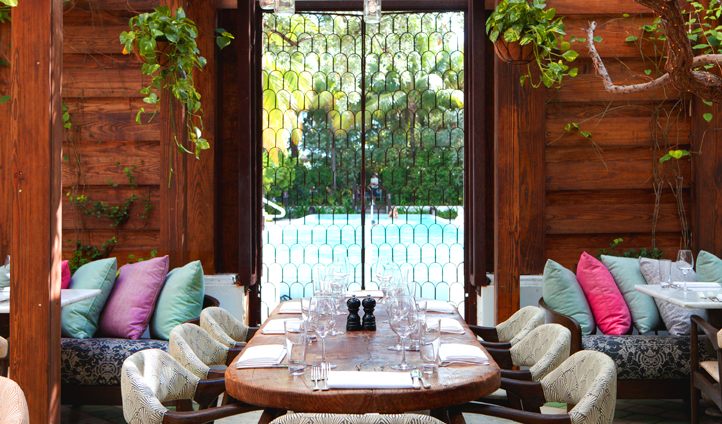 From beachside boltholes to slick, city-center pads, Miami certainly isn’t short of iconic and enticing hotels. But we’ve recently settled on a new favorite; Soho Beach House. An east coast outpost of legendary Soho House hospitality, we’ve had our eye on this unique members club since it first opened its doors in 2010 and we’re proud to announce that Black Tomato is now an exclusive travel partner of Soho Beach House, meaning that we can open their doors to you and curate your very own Black Tomato with this iconic hotel as your base. This exclusive partnership is something we’re very excited about, so we wanted to introduce you to all you need to know about Miami Beach’s hottest beach-side property. A short twenty-minute drive from Miami International Airport transports you to the hotel and places you on the idyllic sands of Miami Beach. The oceanfront oasis removes you from crowded tourist hotspots and leaves you free to recline without a care in the world. Spend your days making the most of this ideal location – grab a Soho Beach House sun lounger and watch the world go by, or take a five-minute cab south and explore the highlights of South Beach. If you’re looking to stay a little closer to home, place yourself by one of the hotel’s two pools and sip perfectly crafted cocktails from the beach bar’s seasoned mixologists. Our favorite? The Pistachio Paradise made with Langley gin, yerba matte, passionfruit and pistachio-orgeat. 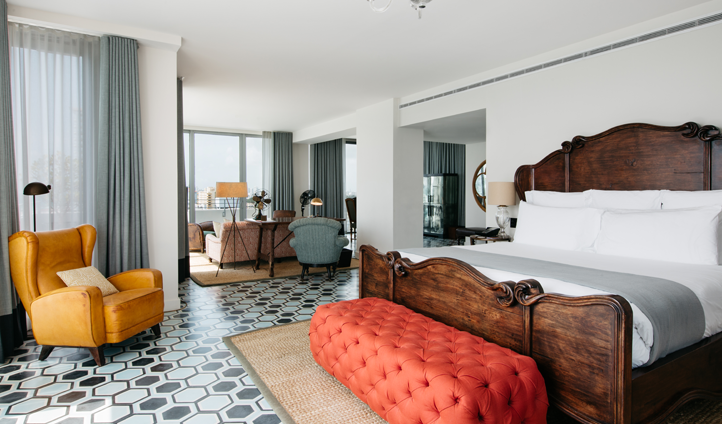 Soho Beach House’s rooms find the perfect balance between ocean vistas, art-deco interiors and sumptuous comfort. Between the 9th and 14th floors, you’ll find our favorite abodes; the Beachside 1 bedrooms, which feel more like private, open-plan apartments. Offering ocean views from floor-to-ceiling windows, two huge terraces, a living room and oversized bathrooms with marble soaking tubs – these are our preferred rooms, but in truth, you won’t find a bad option in the Beach House.